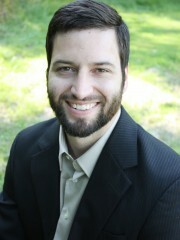 Joel is a dedicated and passionate counselor with experience and training in individual, group, and couples counseling. Joel graduated from Louisiana State University with a Master’s degree in Social Work. He has a strong desire to work with individuals in an effort to establish a positive change in their lives. He has worked with children, adolescents, and adults in a variety of settings. Joel has had significant experience in working with individuals dealing with emotional, behavioral, and relational problems. Joel and his wife Jenny are active members of Living Hope Fellowship. $110.00 Initial Individual, Couple, or Family Evaluation. $90.00 Individual, Couple, or Family session. Joel accepts cash, check, and credit card payments.